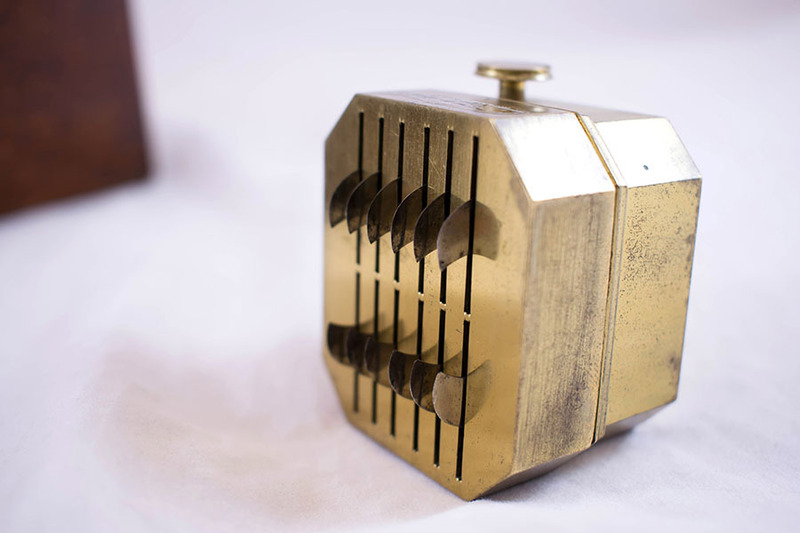 Twelve-bladed spring-loaded brass scarificator, rounded blades. 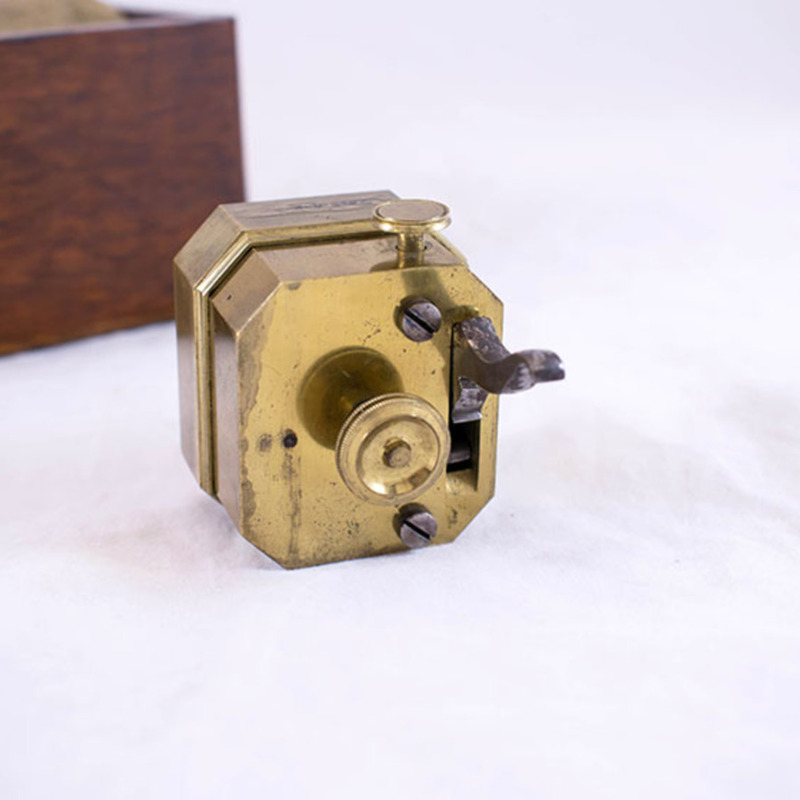 5.2cm in length, 4.6cm in width, 3.5cm in height (of body). 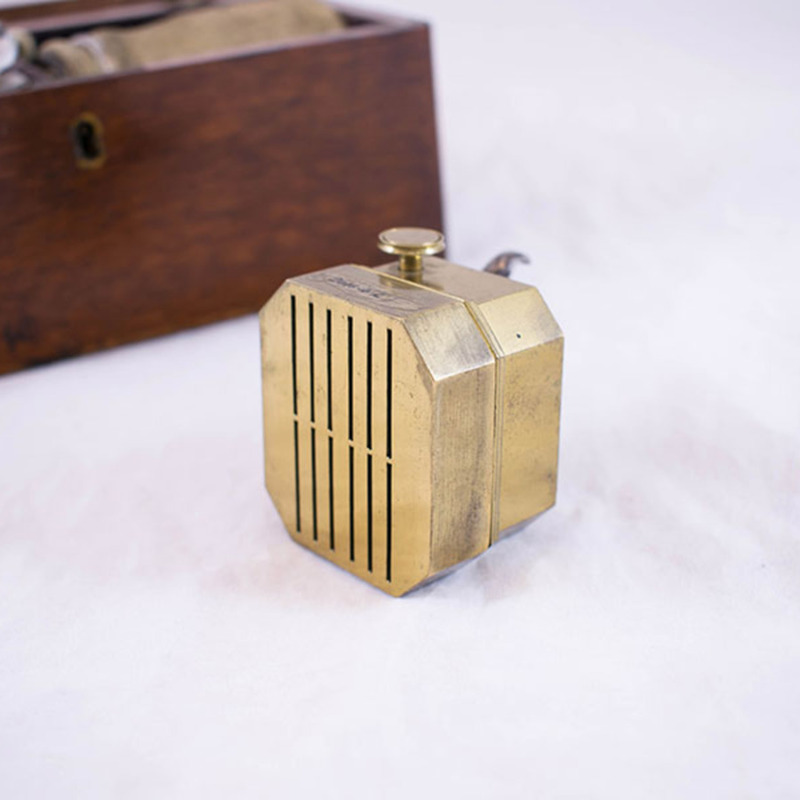 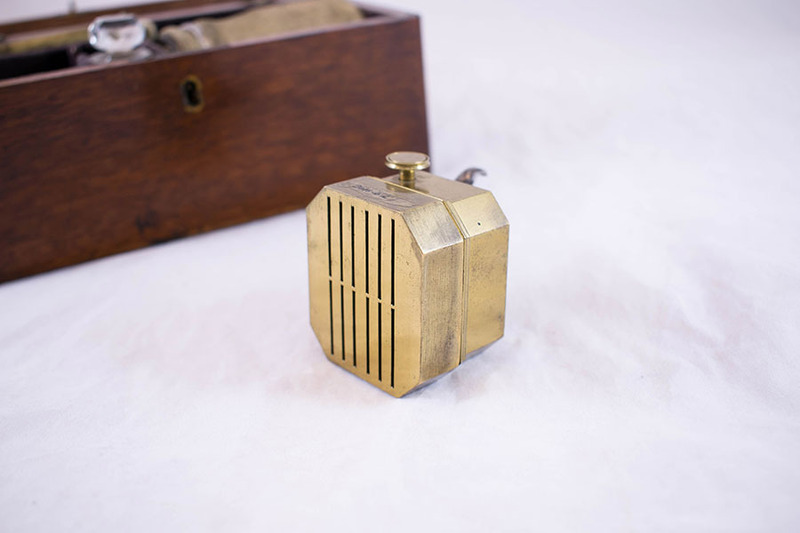 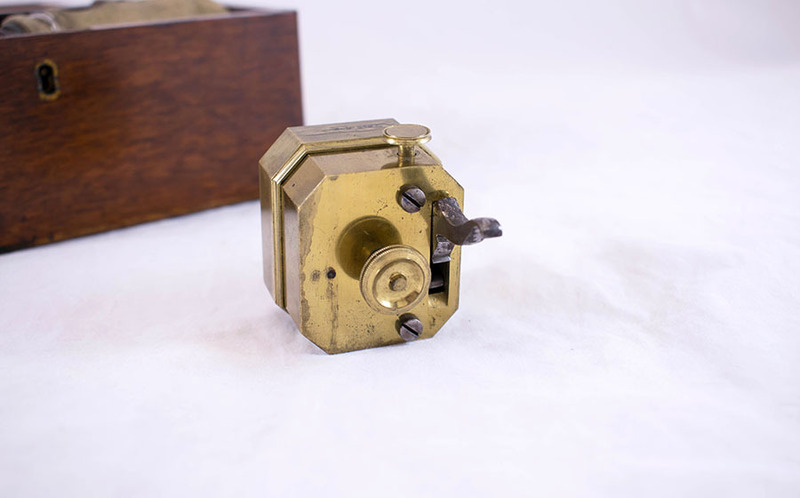 “Scarificator,” Heritage, accessed April 23, 2019, https://heritage.rcpsg.ac.uk/items/show/614. 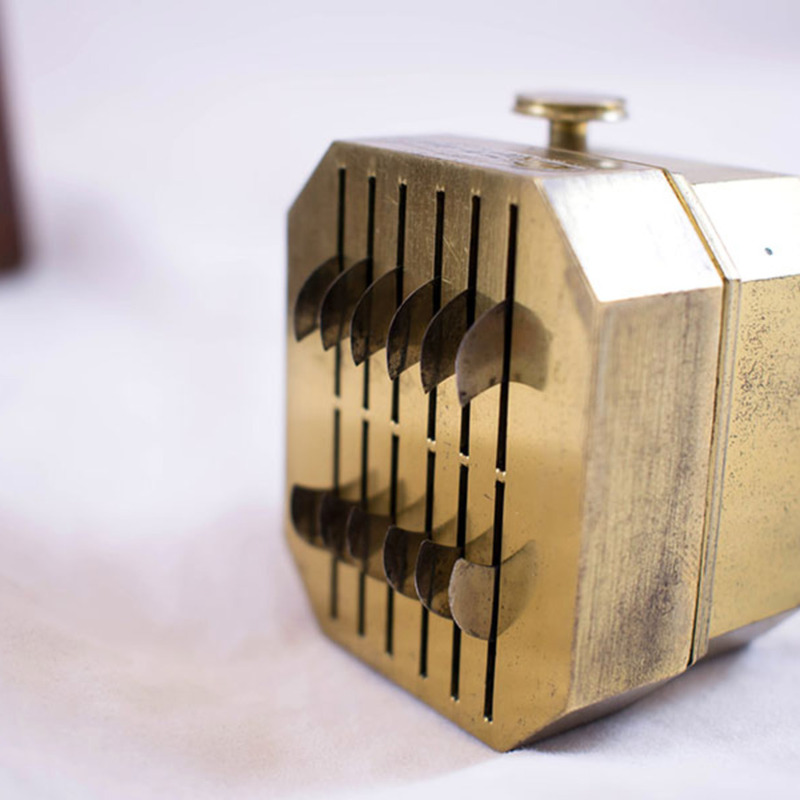 Description: Twelve-bladed spring-loaded brass scarificator, rounded blades.